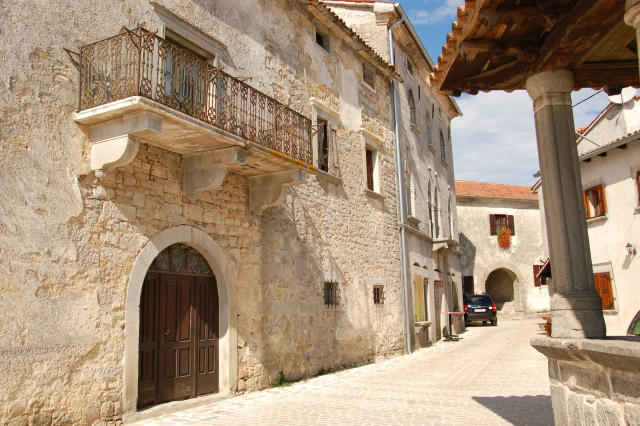 Another important historical landmark here in the village located right next to the Salamon Palace and opposite St. Mary's Church is a building called kašća. This was the granary and many towns and villages dating back to medieval times had one. Next to St. Mary's Church is a large piece of stone with five deep indentations (see photo above). This was used as a measure for taxes paid in the form of grain. After it was collected it would be stored in the granary and a share was distributed to poorer residents. 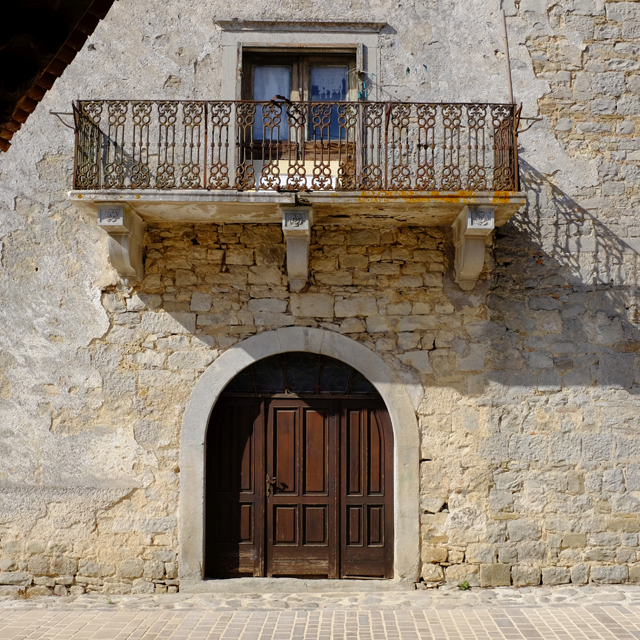 The building dates back to 1576 and like its next-door neighbour, is in a sad state of disrepair. More recently the roof has fallen in and like other abandoned buildings here in the village it's under long-standing litigation. There are plans by the municipality to restore this handsome building and turn it into a wine museum though I would prefer to see it used as a cultural space instead. But I'm looking forward to the day when one of the village's important landmarks located on its main square is completely restored to its former glory. 1. You had to address your parents' friends as barba or teta. 2. 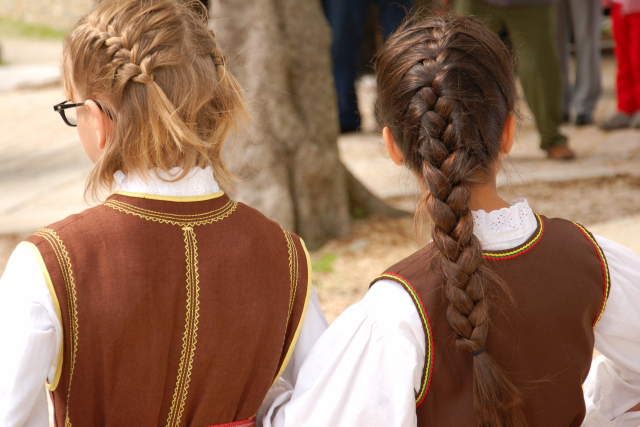 90% of your parents' friends were Istrian or Italian. 3. You couldn't understand the few Croatian friends your parents did have. 4. You didn't go to the Croatian church. 5. You didn't go to "Croatian school" on Saturday mornings either. 6. Your parents would watch Italian TV. 7. You had radić and blitva growing in the backyard. 8. And pršut hanging in the cellar. 9. Your parents would make wine and rakija in the basement. 10. Rakija was used as medicine. 11. You got in trouble for walking barefoot. 12. You went to Catholic school. 13. You had a souvenir of the Pula Arena somewhere in the house. 14. And old copies of Istarska Danica. 15. And Jugoton cassettes of Lidija Percan.